We arrived at the hospital for my induction at 2pm on Sunday 29th July. 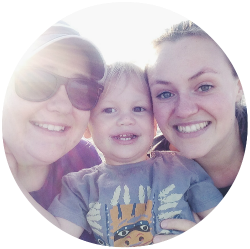 We were both extremely anxious about whether it would actually happen as we had been sent away so many times before and it didn’t help that we were waiting in reception for 45 minutes before we met our initial midwife. However, we were soon being led to our private labouring room, pleasantly surprised that we didn’t have to begin our induction on a ward. I was given the pessary at around 3:30pm and within an hour my contractions were coming regularly, although I would only have described the pain as uncomfortable at that point. We were told that it was be beneficial for the labour if I kept on my feet and walk around to let gravity do it’s job at bringing the baby here sooner. Looking back I wish I had spent that time resting. At around 8pm I was examined and the midwife made the decision to hook me up to the synthetic hormone drip that causes the cervix to dilate. From this point on I would have to be hooked up to the monitor throughout my labour to keep an eye on my contractions and the baby’s heartbeat. I was shocked at how intense the contractions started to come on once the synthetic hormone drip was flowing. I was only getting a 30 second gap between each contraction and they were getting stronger and stronger. The gas and air was amazing! K and I had a good laugh as it was making my voice go really low. A few hours passed before My waters were broken by a doctor to help my contractions regulate and I was so shocked at how much fluid there was. I don’t know why but I kept apologising to the midwife. They see it all the time so didn’t really take any notice. I found the contractions were worse when I was laying on the bed so at midnight when the next midwife came in I asked if I could stand. 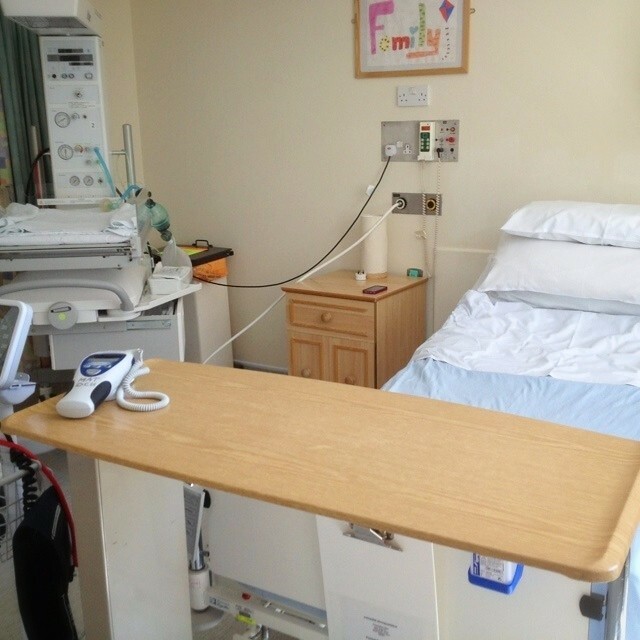 Luckily this midwife was lovely and helped me into a position that really worked for me, crouched over the bed. I then stood in this position for the next 11 hours. Exhausting but it was the only thing getting me through the pain. At 11am, I was re-examined & was so disheartened to hear that after 20 hours of labour I was only 3cm dilated, the midwife could see how tired I was & suggested that I take a shot of Pethidine so I could get some rest which I thought was a good idea. I will never take this drug again, after an hour or so of sleep I woke up feeling really sick and I couldn’t keep anything down. This is when everything started to get a bit scary. 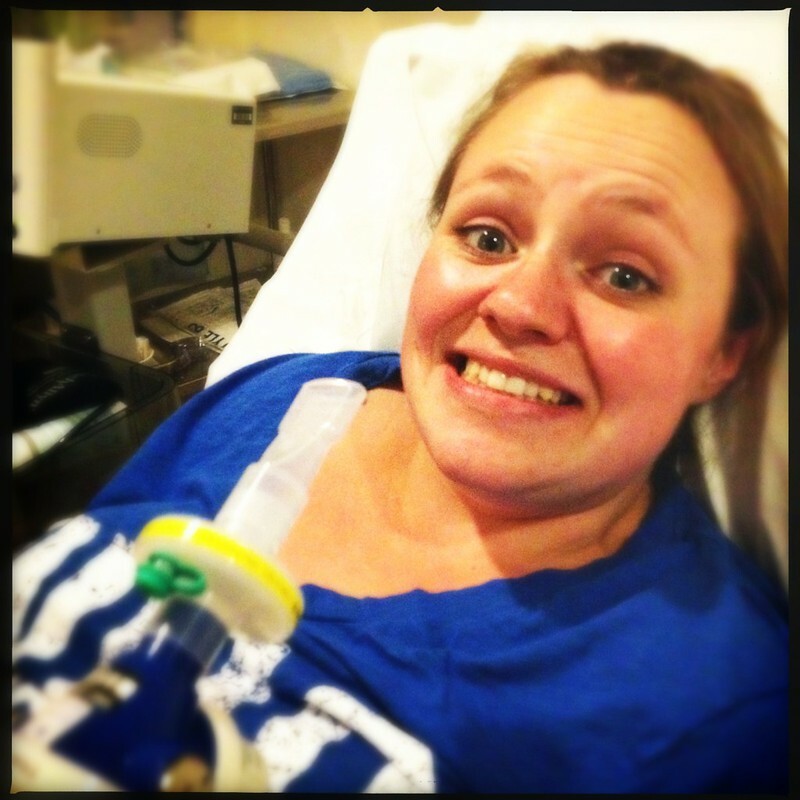 My drip was turned right up and I cant describe to you how painful my contractions became. I wouldn’t even call them contractions, it was just constant pain! I had lasted 20 hours on just gas and air, breathing through the pain but at this point I was curled over in tears begging for an epidural. The drip couldn’t be turned down as I needed it to help me dilate quicker. Within 10 minutes the anesthetist was in my room preparing everything. It was the best decision I have ever made! Sounds frighteningly similar to my birth story with DS1 although I have a feeling yours didnt have the dramatic ending mine did 😀 Cant wait to read part 2! Oh.My.Gosh… So far, this is exactly what happened to us! (minus the induction, J started contracting on her own… Just wait til you read ours? It’s eerily similar at this point) can’t wait to read the rest!